I have two kids and sometimes i get so tired that i just cant wait for them to sleep so that i can have my sleep. Unfortunately; just like every mother out there; when its time for us to sleep: thats when we cant! Suddenly theres thousand and one things running in my head at that moment and somehow i just cant calm myself down to actually sleep! 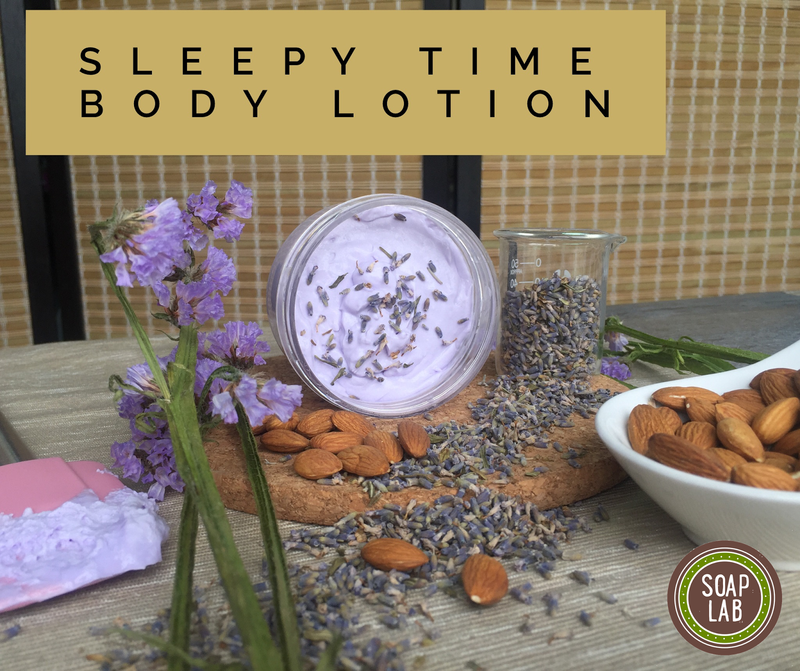 So this time; i made a body cream thats going to make me calm so that i can finally sleep! The best essential oil to calm you down and actually put you to sleep is Lavender Essential Oil. Its very calming and it actually did put me to sleep! Added together in this cream is Almond oil. Almond oil is natural antioxidant and its also very good on sensitive skin especially like mine. I had eczema and sinus from god knows when and whenever i make something for myself; i need to always take this into account. If you want more exciting news and recipes; Join our SoapLab Club here (FB Group).